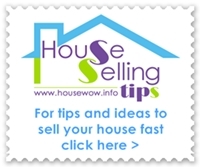 This article covers when to sell a house and de-cluttering to sell a house faster. 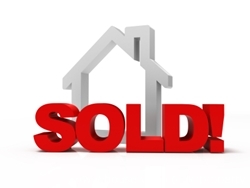 Timing your house sale could improve the selling price of your home. If you can choose when to market your home for sale then consider the timing of the property marketing. In general Spring (February and March) and Autumn (September) are the key times to sell your property when traditionally demand is higher and therefore prices are usually at their most buoyant. Taking into account your own circumstances when selling there needs to be opportunity and time available to 'put your house in order' and tend to house repairs and presentation, consider estate agent marketing options and house selling fees. If the timing is correct then you would stand to improve your house price and be in an improved position to buy the next property. However, bear in mind that the same seasonal timing and property price applies to the seller of the property you would hope to buy. If it's time to sell your house then it's time to get started and de-clutter and de-personalise because potential buyers need to imagine themselves living in your house. So start to thin out the ornaments and photos - especially posters in kids' bedrooms. Put things you don't really use on a daily basis in the attic or into self-storage. Big pieces of furniture should also go into storage and make rooms feel much bigger. Focus on: the hallway: clear away coats, clutter. In the bathroom: hide all your products. In the kitchen: clear the work surfaces of appliances, jars, tins etc, remove fridge magents and replace the ragged tea towels and smelly bin with fresh items. When moving home your potential house removal costs will vary. Whether choosing a removal firm (inclusive of insurance for any damages and packing) from the British Association of Removers (BRA), a van and man or hiring your own van for DIY removals, ensure that you cost this into your moving calculations. Van hire can range from £50 per day for a local self drive and a full removal service can be £400+ for a fully assisted packing and removal service.